A great space with warm wood tones by Office for Word and Image. GREAT fireplace. 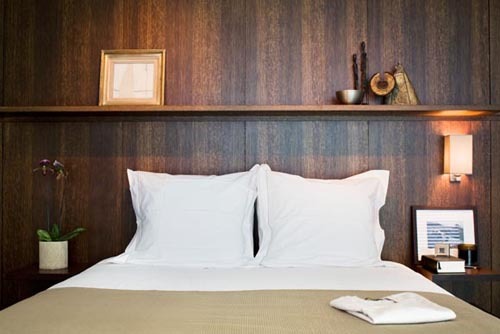 Love the functionality of the wood shelves and the mix of materials. 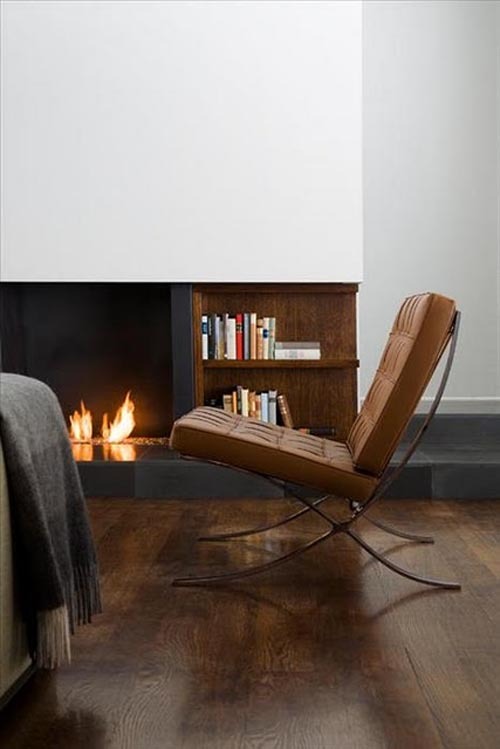 Also love the tonality of the Mies van Der Roher brown leather Barcelona lounge chair with the warm woods. 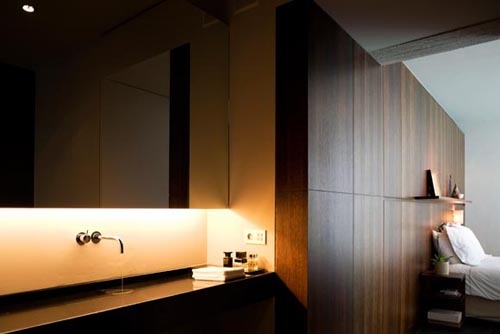 Great lighting and sink details. love the color on that barcelona! every time i see your postings i want to completely remodel my home! but i’ll settle for rearranging i guess 😉 😉 p.s. gorgeous space!! This is how wood is done right—- so often it feels outdated, but this feels new and fresh! I find so warm the dark wood. Specially beautiful the fireplace and bathroom. love everything in that first photo! that chair! 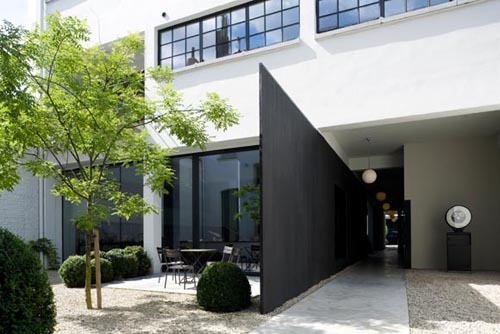 Mies van Der Roher’s designs are timeless. and this space is warm and inviting.